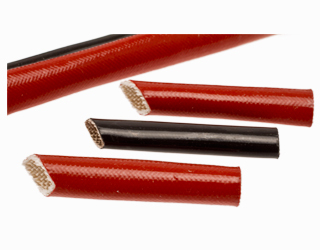 Manufactured from OSBOG, SBOGP Cable Sheathing is a braided fibreglass sleeving coated with silicone rubber. It is available in four different types, grades are by dielectric strength from 1500V to 7500V. Ideal thermal and electrical insulating material for use in areas with high operating temperatures and thermal overcharges. SBOGP Cable Sheathing are usually slid over cable bundles being flexible and easy to handle, the sheathing will not fray easily when cut. 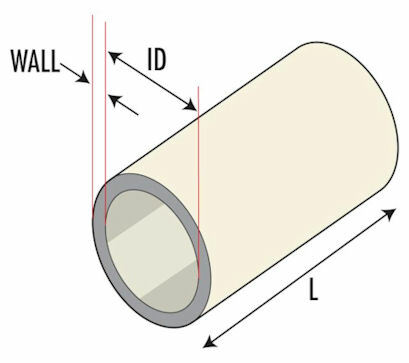 Siegrist SBOGP combines the good mechanical resistance of fibreglass braid with the flexibility, chemical resistance and dielectric strength of silicone elastomer.